I know it's November and by the time that Easter rolls around next spring you will have long forgotten this post, but that's O.K. 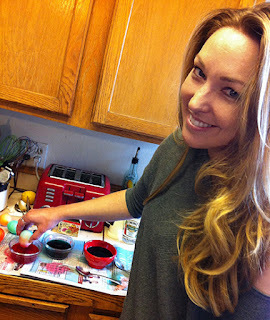 I'm doing Food Memories all November and Easter Eggs have a long and honored position in those memories. As a youngster I joined my sisters and brothers around the dining room table to color eggs before Easter. My Mom covered the table with newspapers and there was probably a waterproof sheet under those. We usually made a mess. 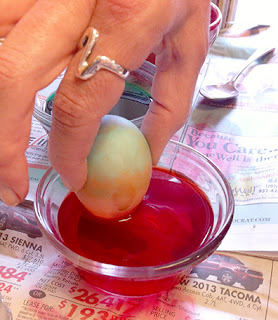 The basic concept was to take a hard boiled egg and dip it into a water bath that had been anointed with apple cider vinegar and colored with food coloring drops. Mom would always do the boiling water in the coloring bath until we were old enough to handle that. The longer that the egg sat in the color bath, the deeper the color became. Still, you couldn't leave it in very long because someone else always wanted to use that color for their egg. A favorite way to identify the eggs you colored was to use a paraffin candle before coloring to draw a design on the egg or write your name. Crayons worked, too. 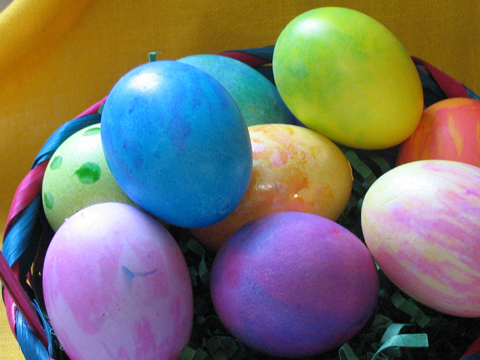 It's amazing how many lovely eggs can be made just using yellow, red, blue, green and purple dyes. 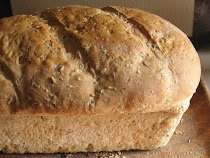 The purples were always a little sickly looking...mixing colors wasn't easy. 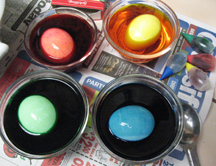 You can also do a two-toned egg by dipping an egg that has some color into another color halfway, like in the photo below. 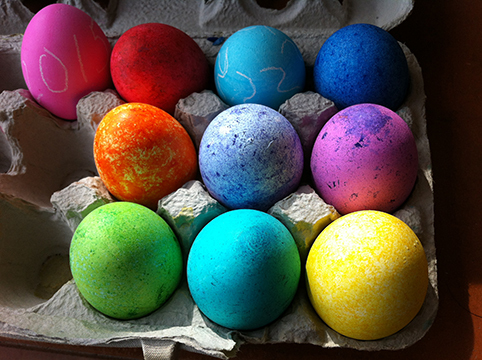 Of course once you have all those colored eggs you have to do something with them. 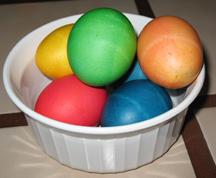 Little kids love to hunt for hidden Easter eggs and the colors make them fairly easy to find. Some adults like to hide the eggs even more than finding them. My Dad was one of those and so am I. It really helps to make a firm note of where all the eggs are hidden. I remember one year when I was a did and we thought we had found them all only to discover that there must have been one hidden too well. How did we know? The couch started smelling like rotten eggs. Sure enough. There, in the crevice between the support of the couch cushion and the side arm there was an egg that had wiggled down there (probably due to folks wiggling on the cushions, but then we were a lively bunch!) and was hidden long enough to spoil. Be warned! Make a list of where you hide the eggs. When my kids were little we did pretty much the same thing as I had done as a kid, although a few years we tried the fizzy tablets that were sold at the store instead of the vinegar and boiling water and food coloring mixture. Lately I've been lucky to be able to color eggs with my daughter, although not every year. 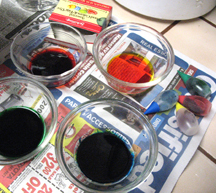 Some years we do the traditional boiling water-vinegar-food coloring egg baths. The latest springtime fun is trying new techniques with her. 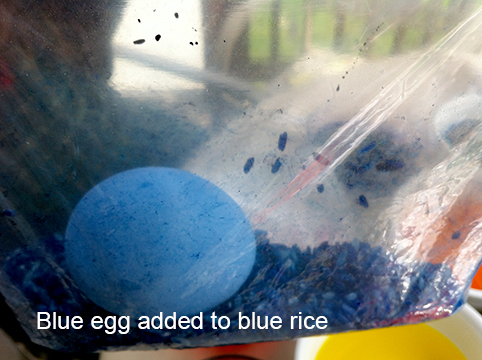 One year we shook the eggs in bags that had raw rice and drops of color. That was a good one. The rice made little darker streaks and dots so the eggs had a very textured look. Another year we put shaving cream in pie pans and did marbled eggs. 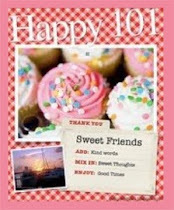 Another good one, but I can't find any photos - probably too messy to take photos, but it sure was fun! One year we blew the contents of raw eggs out through a tiny hole in the eggs shell and colored the shells. Very pretty and you can keep them for next year...which we did! 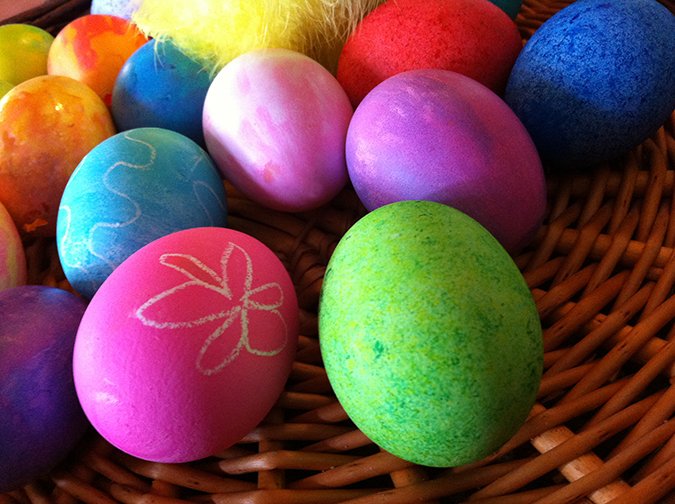 Do you have any favorite way to color eggs for Easter that you'd like to share? It would be fun to try something different next year. Probably the most entertaining year was the year we did natural dyes. Save your onion skins for a couple of months before Easter - and wrap them around the eggs to get gradations of browns and golds and ochers - nearly orange, if soaked for a long while. Red onion peels boiled make... a greenish shade (this one add vinegar when the boiling is done, to preserve the color). Red cabbage scraps make an amazing blue, beet peels, a really deep pink, or a faint one, if you move quickly. 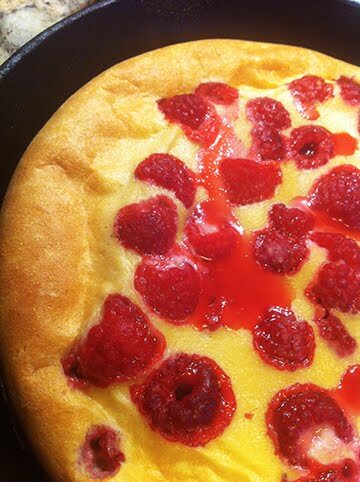 Some people use berries, but I've not done that yet - I prefer to eat them! I've fiddled around with green teas, but mainly it just makes a deep gray, which isn't that appetizing. I love these pictures - the colors are so bright. Natural dyes aren't quite so bright, but we do more crayon decorating then, to keep them interesting, and the textures are certainly very fun, especially from boiling eggs wrapped in onion skins (we kept them on with rubber bands). 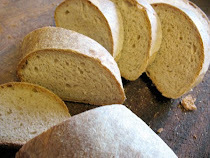 I tried the natural dyes one year. The onion skins worked well, and so did saffron (although expensive!) and so did cabbage but I didn't have much luck with red onion skins and never used berries. 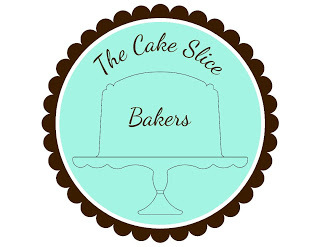 I added vinegar to keep the colors for all of them, but the color choices were so limited that we didn't do that again. To the end of his life, Dad continued coloring eggs for Easter--one for each person who would be there on the day--writing the name of the recipient on the egg with wax before dyeing them. He did a different color for each egg, even when there were only a handful of us to make eggs for. NSD, yes, Dad was a kid at heart and thoughtful, too. Did Mom keep doing eggs after he died? It would have been a lot, especially at first.